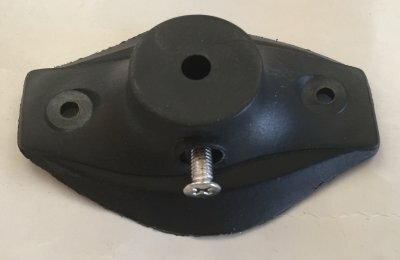 • As option duct mounting flange DMF can be ordered. of duct probe when needed. 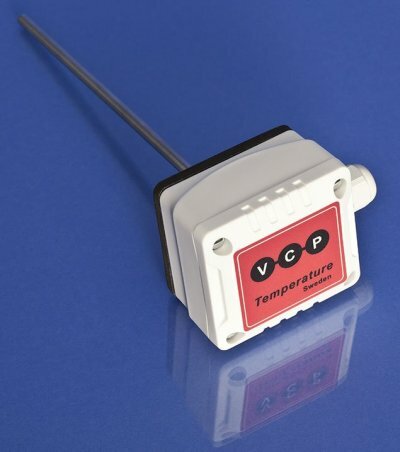 The duct temperature sensor TDN is used for sensing the air temperature in heating, ventilation and air conditioning systems (e.g. in supply air, extract air or mixed air ducts). 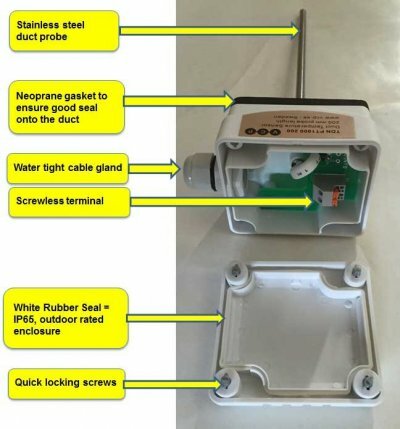 The sensing element for the duct temperature sensor TDN is located in the end of the probe and wiring connection is inside the IP65 housing on a terminal block, the housing is supplied with a plastic cable entry gland.